Hi! Happy weekend everyone. Today I want to give you some pointers you can apply to improve your dental hygiene. This is a question I get a lot every day, patients ask me how to make their teeth to look better or how to improve their breath. Well, if you were wondering these things yourself, today is your lucky day. The first thing to take into account is to have a right mindset. You can’t bring yourself to brush your teeth every day or use mouthwash and dental floss that easily if you find it boring. So the first thing is to trick yourself to find those activities fun. I’m going to try my best to give you some pointers that worked for me personally and some friends that I know. I must be a frustrated musician, but I find myself humming or singing when I’m bored. I don’t find brushing my teeth particularly amusing or entertaining but when I hum I’m always in a good mood. If you are like me that you love music, then singing a song or humming may be the answer to get rid of the bareness you feel when performing your dental hygiene routine. It can be other things besides singing or humming. You can see it like a game, although this is easier to apply in kids than adults. But the mindset is the same at the end, you just have to change the angle how you see things. It may sound a little childish but that is how I made it so I could brush my teeth at least twice a day. Being punctual is a characteristic that can define a responsible person. Being on time to dates speak a lot about your character and thrust. And how people achieve this is by using alarm clocks. Yep, that is right, alarms clock. If you program your alarm to beep when you have to brush your teeth you will feel the need to do so. Today is easier with our smartphones and such. There was a time where I was so busy that I neglected my dental hygiene a bit. I just didn’t remember to take care of my teeth and didn’t brush every day. But one day I just used my phones alarm to remind myself that I had to brush my teeth. It worked, and I now my smile speak for itself. Ok, so now you got the skills to back up your dental hygiene but there is more. You need the proper tools to take care of your teeth. I am always surprised when patient tell me that they don’t change their toothbrush regularly. You have to change your tooth brush at least once every 2 to 3 months if you want to keep your smile spotlessly clean. A pro tip I always recommend is that if you come down to Los Algodones Mexico you can find excellent prices in any dental related item in pharmacies and stores. You will be pleasantly surprised for all the nice offers you will find in this beautiful town. Last but not least the secret to have the perfect smile is to visit your dentist at least twice a year. 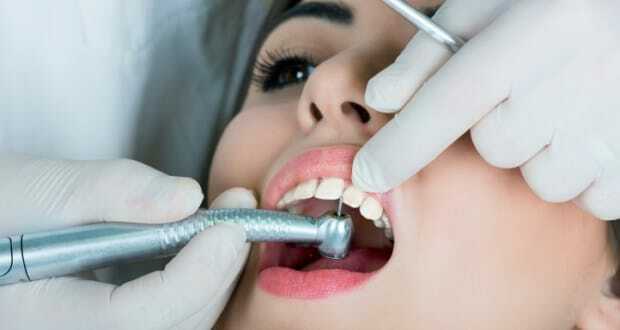 A regular check up and cleaning can give you the perfect smile, don’t wait until you have problems and need treatment. I know that it can be a little expensive to go to a dental clinic but I promise that in Dental Solutions you can find the best prices in Los Algodones.